of self-arranged traditionals and original compositions	written by band members. to the line-up. The band is flexible; they can play loud as well as whispersoft. 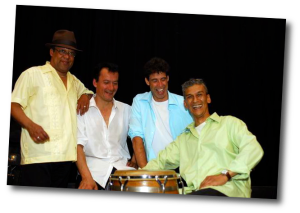 Rumbambola is a band for every age group, for every party, reception, or any other occasion. and we also	love to accompany dance workshops.